Today, most Americans suffer from nutritional idiocy. They prefer foods that do not nourish but instead make them sick. Synthetic flavors are largely to blame for this. For example, most children will not guzzle bottles of pure sugar water but will gulp them down if a little “natural raspberry flavor” is added. Why? Taste helps us gauge the nutritional value of our food. Raspberries are rich in antioxidants, vitamins, fiber, and essential fats and most children like raspberries. But the flavored water contains no nutrients, instead the child’s instinct to go for raspberries is tricked into drinking non-nutritious sugar water. Sucram is a chemical that tastes like the essential sweetness found in all mother’s milk. Added to unpalatable feed, sucram will trick animals into consuming large amounts of feed that they would otherwise refuse to eat. This makes feeding them less expensive but does not promote health. In a natural setting, an animal deficient in a vitamin or mineral will switch to foods that provide the missing nutrient. Today, however, animal feeds – and our foods as well – are fortified with synthetic vitamins that replace missing nutrients. “Palatants” like sucram combined with synthetic vitamins trick us into continuing to consume excessive amounts of nutrient depleted foods. These chemicals interfere with our ability to know when to stop eating a given food and are a big cause of why our culture has so many weight and other chronic health issues. And, as the use of synthetic flavors increased, our “real” foods began to be bred in ways that reduced their true flavor. Crops were chosen for yield, for appearance, for ability to travel damage-free, and for a longer shelf life. The trade-off was flavor and nutrition. Tomatoes, chicken, strawberries, to name just a few, no longer tantalize our taste buds, and a simply prepared meal is no longer as pleasing. Restaurants, gourmet cooks, and food manufacturers have responded by drenching foods in cheeses, sugars, bacon, Panko breadcrumbs, and, of course, synthetic flavors, making the meals more palatable yet less nutritious. These synthetic flavors interfere with innate nutritional wisdom. For instance, calves fed a premixed feed with of all the nutrients a calf needs will not grow as well as a calf given the choice of getting their nutrients from whole foods where the calf chooses what to eat. Humans also begin life with nutritional wisdom. In one study, children were placed in the care of a scientist for 6 years (!) where they were allowed to eat as they wished, choosing among 34 different healthy foods, without sugars and additives. The children initially sampled all of their food options but then each child settled into its own individual eating routine that often differed over time. All of the children ended up healthy because they selected foods that matched their individual nutritional needs. 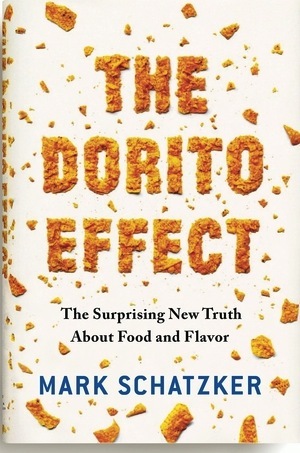 “The Dorito Effect” by Mark Schatzker is a great book on the many negative effects of synthetic flavors. It is a book that I hope will usher in the next big food movement: The Quest for Real Flavor. Mark ends with the story of his search for the most flavorful varieties of foods he could find – chickens, tomatoes, potatoes, fruits, all bred naturally for the best flavor. Then he sought a chef who could make a meal without burying these carefully chosen ingredients in cheese, soy sauce, entire bulbs of garlic, bacon and sugar. “I didn’t want faux heirloom Dorito cuisine. I needed a chef who wasn’t going to club these ingredients senseless.” He learned that in all of Napa Valley, the original farm-to-fork haven, there actually were only three chefs capable of cooking this way. One of them then prepared a simple, nutritious, flavorful meal that satisfied the palates of some of the biggest foodies Mark knew. Those on the TQI Diet are already on this journey back to real flavor and are on the road to reconnecting with their innate nutritional wisdom. Added sugar and synthetic flavors are off-plan and people are rediscovering how to enjoy the real flavor of foods. Now, if the “Real Food” movement takes hold, our restaurants will begin to offer menu items as carefully chosen and as simply prepared as those in Mark’s dinner. When that happens, it will become far easier to disconnect from foods buried in fats, sugars, and flavorings that cause us to overeat and crave non-nutritious foods. NOTE: You are welcome to use my blog’s content for non-commercial purposes but only if you attribute the work to me (Kathy Abascal) and link back to the blog. This work is licensed under a Creative Commons Attribution-Noncommercial 3.0 United States License. P.S. I have no control over any ads that may appear on this blog. Herbalist with a background in neurobiology, biochemistry, and law. Teacher of the TQIDiet, how to quiet inflammation with food. This entry was posted in chemicals, Food, supplements and tagged artificial flavor, dorito effect, farm to fork, natural flavor, nutritional wisdom, obesity, overeating, palatant, sucram, tasty food. Bookmark the permalink. Thanks Kathy! I’d also point out that addiction to salt is a quite common way to mask real food flavors. Salt certainly is used along with sugars, fats, and synthetic flavors to hide the fact that the food used lacks flavor. At the same time, of course, salt used appropriately (much the way we would use an herb), can bring out the taste of real food. Thank you. I have found this to be true. I do not eat perfectly, but I can no longer eat some foods that I used to eat regularly, because they no longer taste good to me. I was just reading about natural flavors and was left with the impression that they can be made from the oils or natural essences of the food item. Is this true, or possible, without using synthetics? Thank you! No, “natural flavors” are simply marketing terms used to make synthetic flavors seem more appealing. 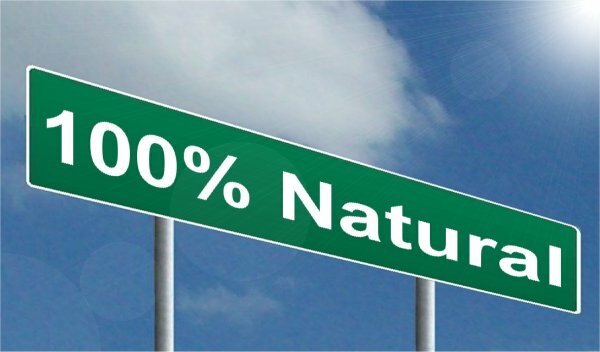 The difference between an artificial flavor and a natural flavor is that the natural flavor is extracted from a food where the flavor is found in nature. Nonetheless, a natural flavor is not a whole food it is a chemical extract. If a food contains say real vanilla, the ingredient will read “vanilla.” If it reads “vanilla flavor” you are getting a chemical extract that we perceive as vanilla, even though it is not. This article mentions that “the children could choice from a group of foods. Is there any way to find out what was on that list? The choices were quite British: 1. Water 2. Sweet milk 3. Sour (lactic) milk 4. Sea salt (Seisal) 5. Apples 6. Bananas 7. Orange juice 8. Fresh pineapple 9. Peaches 10. Tomatoes 11. Beets 12. Carrots 13. Peas 14. Turnips 15. Cauliflower 16. Cabbage 17. Spinach 18. Potatoes 19. Lettuce 20. Oatmeal 21. Wheat 22. Corn meal 23. Barley 24. Ry-Krisp 25. Beef 26. Lamb 27. Bone marrow 28. Bone jelly 29. Chicken 30. Sweetbreads 31. Brains 32. Liver 33. Kidneys 34. Fish (haddock). Quote from study: “The entire list could not, of course, be gotten ready and served at one time and was therefore divided and served at three (in the early weeks, four) meals a day, this arrangement providing a wide variety at each meal. Both sweet and sour (lactic) milk, two kinds of cereals, animal protein foods, and either fruits or vegetables were served at each meal according to a fixed schedule. Each article, even salt, was served in a separate dish, salt not being added to any, nor was milk poured over the cereal. . . .Food was not offered to the infant either directly or by suggestion. The nurses’ orders were to sit quietly by, spoon in hand, and make no motion. When, and only when, the infant reached for or pointed to a dish might she take up a spoonful and, if he opened his mouth for it, put it in. She might not comment on what he took or did not take, point to or in any way attract his attention to any food, or refuse him any for which he reached. He might eat with his fingers or in any way he could without comment on or correction of his manners. The tray was to be taken away when he had definitely stopped eating, which was usually after from twenty to twenty-five minutes.” This was done for six years!! I recently purchased a new product by Nutiva which is a “buttery flavor” coconut oil. The “vegan” flavorant is made from non- GMO “fermented gluten free plants including sunflower, coconut, and mint”. Do you have any opinion on this? I emailed the company to find out if it is extracted from yeast, because I must avoid yeast, but they never responded to my request for info. That was weeks ago so I assume they have no intention of answering my question. On the TQIDiet, we eliminate all flavors, natural, artificial, and vegan flavorant. Basically, do not eat something unless you know what it is and have a good reason to eat it.